The Yuletide break has given me the opportunity to work on my other blogs. It was not difficult for me to update some as there are recent activities related to their particular niche. Others are continuation of the series of articles being posted or reposted. It is on this blog where I take a pause. Although I have already decided on the topic, I am a little bit cautious as I deal with faith journey in relation to Christmas. Much more that my random thoughts lead me to write on the faith journey of God in Jesus. My first impulse was to relate my faith journey to Christmas. A quick flashbacks on life’s experiences brought me to my childhood dream to become a pastor as exemplified by the life of Rev. Salustiano Cabahug in his relationship with the church and community. Unable to pursue my dream to enroll in a seminary where he graduated, I shelved that dream when I got converted to my father’s trade whom I also idolized in his relationship with peers, subordinates and gambling clientele. I felt so secured and comfortable in an unstable world of gambling, that my only wanting was a wife to establish my own family. Yet, it did not come, as I was more inclined to touch cards and mahjong tiles than a hand of a woman. My dreams, at that time,were more of figures to beat in number games than faces or vital statistics of woman I want to marry. It was only when I encountered a series of life threatening motorcycle accidents that I was convinced to enter a bible school which eventually led me to another journey culminating in a near fatal illness. A mystical journey followed resulting to a bargain with God for a year of lease of life so that I could work full time in ministry. As it turned out, it only serves as a transition to more journeys in life including dialectic materialist ones which have changed the course of my life, ushering me to where I am now with two more critical sickness as life-changing interludes. In the process of relating my faith journey to Christmas, I got overwhelmed by God’s love and grace to me that as I started to wonder about it, my thoughts also wandered on what the first Christmas could have been to God’s own faith journey in Jesus. Undeniably, Christmas is the fulfillment of the promise and prophecy and, in some sense, a culmination of the faith journey of the old. For Jesus is considered the fulfillment of the Old Testament. 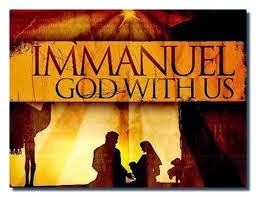 In Christmas, all the labors and waiting of the old were not in vain because the Immanuel finally took place as foretold. However, it is also the beginning of the faith journey of the people to whom the incarnated God associated with. It was not necessarily the start of the faith journey of Mary and Joseph. They have already succeeded to hurdle the shame and embarrassment for the controversial pregnancy of Mary prior to their marriage and of course the stressful condition of literal journey from Nazareth to Bethlehem just the time she is expected to give birth. But it was the beginning of the faith journey for the shepherds, and would be disciples, friends and associates of Jesus. More importantly, it was the beginning of the faith journey of God who has exposed himself to the cruelties of the world in incarnation. Logically, God knows how to handle the faith journey of humanity throughout the ages. While He knows how fragile humanity is, God has seen how they put their trust on Him in difficult situation. And despite their failings and backsliding, God knows how to discipline them to guide them to the right track. At times, He put them to test to gauge their faith but with restraints for He never allow humanity to be tempted beyond their capacity to cope. But it’s a different story for God to entrust His life’s vulnerabilities to humanity. Can He really trust them, knowing pretty well how they have repudiated his messengers and even killed the prophets? Can they be trusted of the intimate secrets? Can they discern the message and signs of times? What might have been in the thoughts of God when Joseph flip flopped in his decision in their plight as refugees? Was it intentional or circumstantial for God to commence Jesus journey in the care of the lowest and most despised social groups and later on in the company of unschooled and ordinary, drunkard, tax collectors and sinners? Was He more secured and comfortable in the company of these people than the prestigious and elite, including the religious ones? Were these some reasons why Jesus showed concerns and admiration for the traits of the former in contrast to the skirmishes and confrontation he had with the latter through parables and actual encounters? Were his sighs recorded in the bible manifestations of Jesus impatience or irritation in the course of his journey, when confronted by humanity’s lack of faith? What could have Jesus felt in his faith journey when confronted by furious crowd that almost threw him off the cliff? These questions challenge me to review the Gospel in the context of some random thoughts. This is to break the concept of every human that the true life is comes from the kingly living. It is God's principle that the humble shall be exalted.